Miracle noodles, also found as shirataki noodles, are a great option for any phase of the Dukan Diet when you want something that mimics carbohydrates and pasta. They are completely approved for all phases of the Diet. 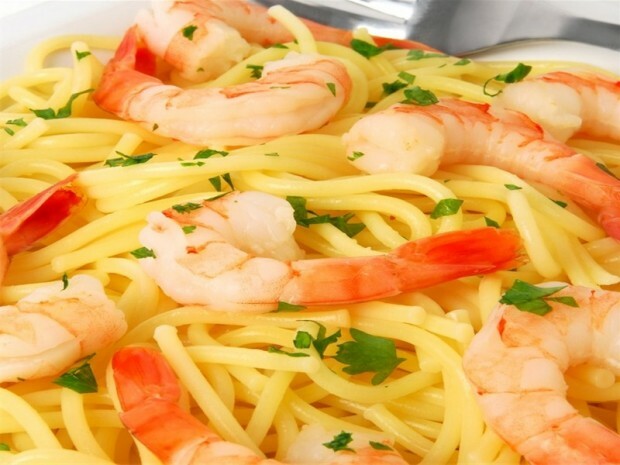 This recipe uses them to make a classic shrimp scampi with lemon and garlic. 1. Soak the miracle noodles according to the package directions. 2. Add the chicken broth, garlic, and lemon to a saute pan. Cook for about 1 minute until the garlic becomes fragrant. 3. Add the onion powder, garlic powder, salt, pepper, and shrimp. Cook for about 5 minutes or until shrimp are pink and cooked through. Add in the pasta and cook for 2 more minutes.